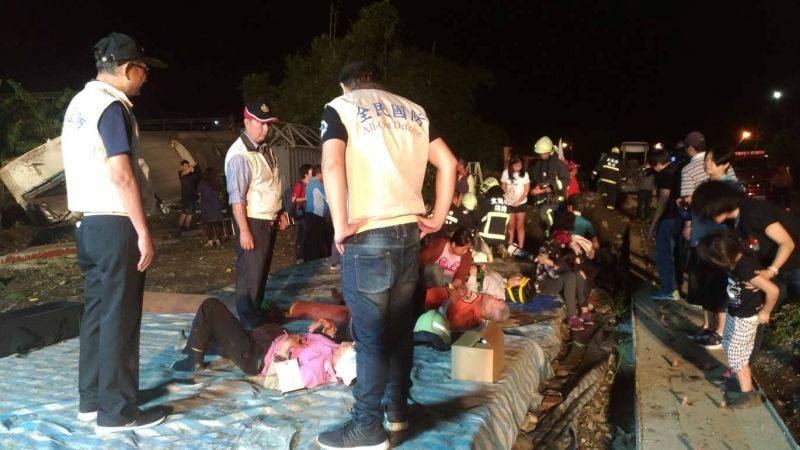 Taipei, October 21, 2018 – Eighteen people died and 175 were injured when a train derailed in northeastern Taiwan on Sunday, authorities said, in the island’s worst rail disaster in more than three decades. It was unclear what caused the crash. 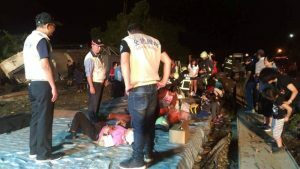 As of 9:35 p.m., all 366 passengers onboard – including the dead and injured – had been evacuated or removed from the wreckage, the Taiwan Railways Administration said. “I hit a wall when the car started to flip. Around five to six people were thrown out of the carriage door…There’s no time to think what happened. Everyone was in a rush to get out,” he added.